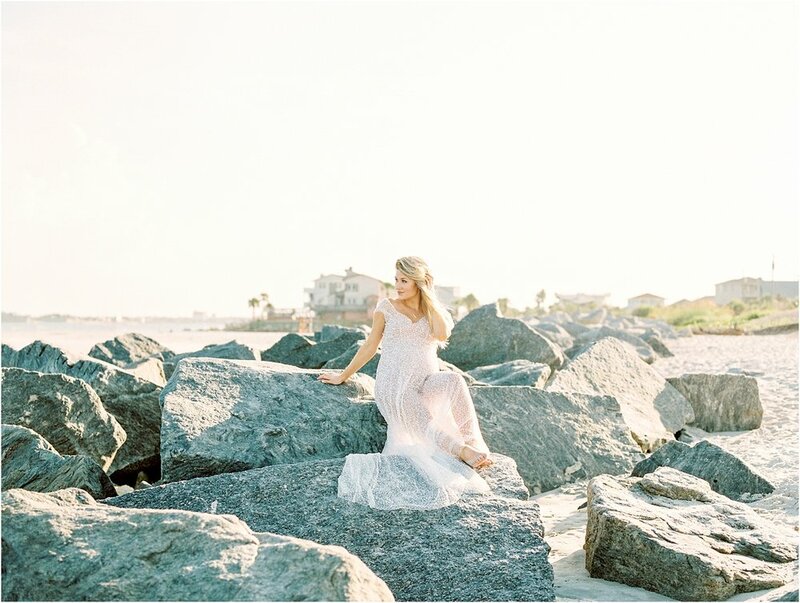 Brittney and Ryan's Maternity Session- Vilano Beach and Jacksonville, Florida. If these beautiful people look familiar to you it’s probably because they’ve modeled for me in the past, most recently on a bridal editorial. I haven’t blogged it here yet (one day haha… I’m catching up on the blogging slowly but surely!) but for now you can check it out on Ruffled Blog! 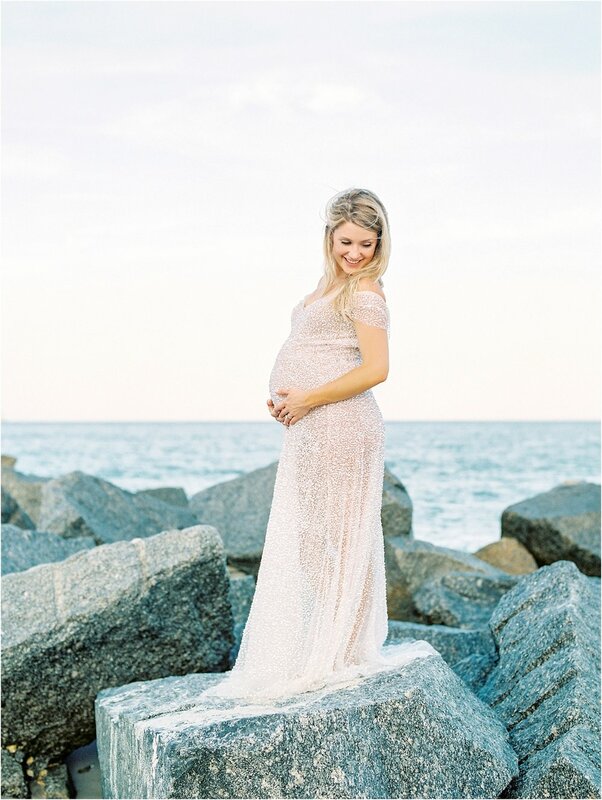 I met up with Brittney first on a windy but beautiful day at Vilano Beach for some photos of just her and her bump (this was when my back was still injured, so again thank you to my Mom for being my assistant!) and the next week we did a lifestyle session at Brittney and Ryan’s home. Ryan had just finished doing an amazing job remodeling the master bedroom (Can we please talk about closet goals?!!) and it was the perfect setup for this sweet shoot. Brittney and Ryan are obviously gorgeous, but they are also very much in love which really shines through in their images. I’m in love with these photos and cannot wait to meet baby Sprinkle (which is not her real name, but a super cute nickname) and we were even able to incorporate some sprinkles into the shoot!